WOW!! PRIDE IN OWNERSHIP! Need space for a growing family? Want a popular community? Do you entertain? YOUR SEARCH HAS ENDED! FIVE FULL BEDROOMS! DOWNSTAIRS MASTER BEDROOM! Sizable upstairs LOFT AREA. Large yard on CONSERVATION w/ POND VIEW. PERFECT FOR ENTERTAINING! You will be amazed at the possibilities. A spacious foyer provides a comfortable double door entrance. A SPACIOUS FORMAL DINING ROOM opens into a very LARGE EAT-IN KITCHEN & large family roomâ¦almost open enough to be called a great room with the volume ceilings & the backyard access. The kitchen features 42â wood cabinets, granite, a walk-in pantry, ample cabinet space & a large eat-in area. STAINLESS STEEL APPLIANCES provide a pleasing executive appearance. The MASTER SUITE includes dual vanities, a large shower, a garden bath, & walk-in closet. Moving upstairs, the VERSATILE BONUS ROOM/LOFT can be an office, a rec room, a playroom or a media room. The four additional OVERSIZED BEDROOMS are upstairsâ¦one full bathroom services two of the rooms and the other full bathroom is attached to the last two rooms. Each of those rooms has its own vanity. The community includes a low annual fee HOA with a pool, clubhouse, tennis courts, soccer field, playgrounds, & a community pond with a gazebo. 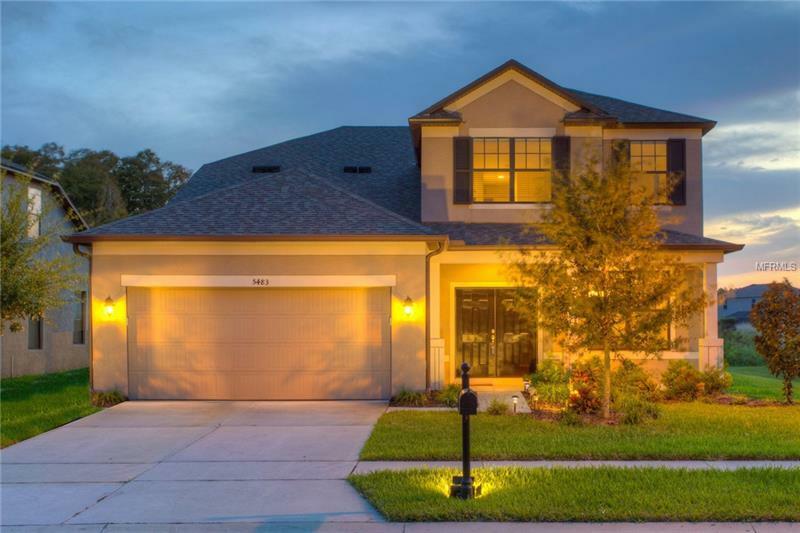 With direct access to Wesley Chapel, Lutz, Odessa & Trinity, it is the perfect centrally located home in a VERY POPULAR community. Make an appointment today to see this wonderful home.